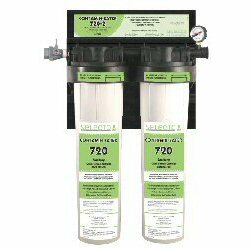 Two 20" SQC Replacement Cartridges for the SMF Contamin-Eater 720-2 FL One cartrdige with fluoride reducing media; one with Hollow Carbon. 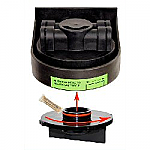 Sanitary Quick Change Cartridges mean you can change them yourself with NO TOOLS NECESSARY! 200,000 gallon capacity for chlorine. Certified NSF Standards 42 & 53. 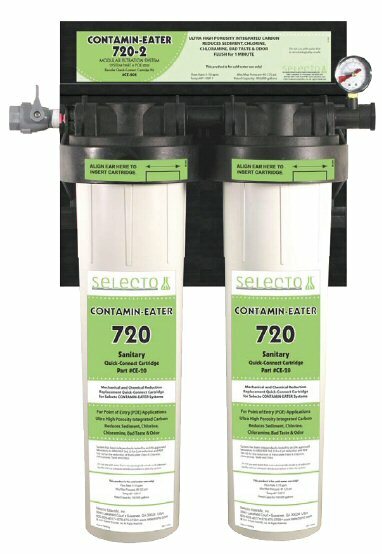 Fits any Contamin-Eater Double-Cartridge Whole House Water Filtration System.